Ultrafiltration systems create a substantial difference in the physical characteristics of water without intervening in the chemical characteristics of water. With ultrafiltration systems, while a high level of suspended solid matter and cloudiness is eliminated from the water, color is eliminated at a certain rate. 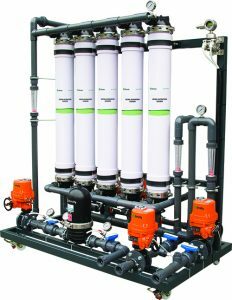 One of the most important characteristics of ultrafiltration systems is the elimination of all the bacteria and viruses that are likely to be found in water. With such characteristics, it is used increasingly in the treatment of spring water and drinking water.